The professionals at Tax Advocate Center have more than 20 years of combined experience. As a new tax company, founded in 2018, Tax Advocate Center is up-to-date on the latest tax laws. TAC takes a modern, expert approach to tax debt negotiations for clients, while also bringing decades of education and experience to the table. The Tax Advocate Center will go to bat for you, negotiate with the IRS to lower your tax bill and eliminate your tax debt. With a solid emphasis on educating taxpayers, TAC will also give you the tools you need to avoid trouble in the future. TAC can assist residents in any state with federal, state, and local tax issues. Based in Sherman Oaks, California, the business keeps office hours from 7 AM to 5 PM, PST, to accommodate clients across the country. Tax Advocate Center delivers in every area of tax services from helping you lower your overall tax debt to filing your taxes, and even offering assistance if you’re facing an IRS audit. The IRS provides many ways for taxpayers to manage their tax debt. But it takes the experience and expertise of a tax professional to negotiate with the IRS on your behalf to make sure you are getting the best deal. TAC knows how to file an offer-in-compromise or a partial pay installment agreement properly, so you will have the best chance of having the proposal accepted. TAC can help you have penalties, and late fees waived, and even help you file for Currently Not Collectible status, giving you more time to get your finances back on track before you negotiate an agreement to settle your back taxes. When the IRS or state or local tax agency decides to garnish your wages to cover your unpaid tax debt, they can legally take up to 25% of your paycheck. If you’re self-employed, this number rises to 100% of your earnings. TAC can file the proper paperwork to have wage garnishments stopped within one to two business days. They can also fight bank levies and liens on your property, enabling you to keep your hard-earned money and then negotiate an agreement to pay your tax bills on better terms. If you haven’t filed your taxes recently and face penalties due to delinquent filings, TAC can help you get back on track. TAC’s tax experts and IRS enrolled agents can help you find deductions you didn’t know you could take. They can also help you file the current year’s taxes, making sure you take all the deductions you are entitled to and lowering your overall tax liability. TAC works fast to stop collections actions, so you can rest easy while they start negotiations on your behalf. There is no risk when you work with TAC because the company offers a free consultation. You can both decide if Tax Advocate Center is a good fit to help you with your federal, state, and local tax issues before you pay any money. With a personalized approach to tax services and an emphasis on protecting customers from collections actions right away, TAC could be the right choice if you are being harassed by the IRS or state tax collections agencies. Tax Advocate Center provides a wide range of tax-related services so that they can become your go-to firm for tax filings, tax debt negotiations, and other financial services. With a free consultation and outstanding customer reviews on their site, TAC is worth your consideration if you are struggling with tax debt. Founded in 2018 in Sherman Oaks, California, Tax Advocate Center may be the new kid on the block when it comes to tax debt relief services, but the team has more than 20 years of experience in tax law and tax advocacy. 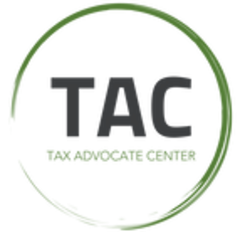 Offering free consultations and extended business hours, TAC is quickly making a name for itself in the tax debt relief industry. Tax Advocate Center takes quick steps to stop collections actions and harassing calls from the IRS or state tax agency, giving customers the faith they need to move forward. Through a disciplined resolution process, TAC uses every tactic and negotiation technique available to reach a fair settlement. Based on several reviews on their website, TAC has high levels of customer satisfaction. One customer even reported that TAC helped them reach a settlement to negotiate down more than $90,000 in payroll taxes, enabling the customer to avoid bankruptcy and keep their business open. Unlike many tax debt relief firms, TAC has expertise in tax filings, including back taxes, as well as negotiating offers-in-compromise, settlement plans, and partial pay agreements with the IRS and state tax agencies. TAC can help taxpayers stop liens, levies, and wage garnishments that come about as a result of unpaid taxes. TAC can assist with business and personal taxes in all 50 states. TAC is a new company, founded in 2018. However, its team of tax attorneys, CPAs, and IRS enrolled agents have more than 20 years of experience in the field. The company has a verified Yelp listing and a Facebook page. TAC is not yet accredited by the Better Business Bureau, but it has an A- rating. The TAC team of tax attorneys and IRS enrolled agents hold the appropriate licensing and certifications for the states they serve. With its emphasis on personalized service and education, TAC has all the makings to become a top-rated tax debt relief firm. The company has the knowledge and experience required to negotiate a favorable tax settlement using a variety of tools and techniques. With a free consultation, calling TAC could be your first step toward financial freedom if you are facing unmanageable tax debt, liens, levies, or even wage garnishment.